Racketeering charges are nothing new among MLMs. But we’re decades away from the years when Amway and other big-name MLMs were convincing the world that multi-level marketing isn’t a scam. So why is Market America facing these charges today? You gotta wonder. Market America is a network marketing company founded in 1992 by a couple of former Amway distributors. The company ran into problems early on so it took a while for them to catch some momentum. Now, with another major lawsuit on their hands, we’ll see if they can keep the momentum going. 1. What does Market America sell? Market America sells just about every type of product you could want or need: appliances, clothing and accessories, food and beverages, home care, leisure and educational, personal care, wellness products, internet services, financial services, and entertainment. They call themselves a product brokerage company, and their goal is to give consumers a better way to shop for everyday products, converting existing everyday spending into earnings. 2. 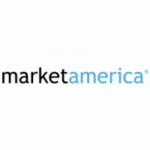 What are Market America’s most popular products? As a product brokerage, Market America can offer products and services from well-known stores like Target, Nike, Apple, and more. The cost is about the same as it would be shopping on the store’s site, but through Market America, you get Cashback on more than 40 million products and services you already know. These may be their top products, simply because the brands are so well known. But some of Market America’s exclusive brands—such as Motives, their award-winning cosmetics line, and TLS, their low-glycemic weight management system—are also popular. 3. How much does it cost to join Market America? To join Market America, you’ll register your business with one of four Fast Start kits costing $399. This includes the annual subscription and lets you start your business with your commission banks already open. If you can’t afford to register your business, you can get a Starter Kit for $149.95. With this option, you can earn retail profit, but your commission banks won’t open until you submit orders totaling 200 BV of product. Be aware, you’ll also be charged $21.95 every month for an online back-office and $99.95 per year for your annual subscription renewal. 4. Is Market America a scam? Not likely. They’ve been awarded the 2013 and 2018 BBB Torch Award for Ethics and have been listed among the 2018 Internet Retailer Top 500, 2013 Fast 50, and Grant Thomson 100—all of which gives them some legitimacy in the industry. Be aware, though, they have been accused of being an illegal pyramid company (which is almost a rite of passage for MLMs), largely because so few people are able to profit from their 2-year plan. While we wouldn’t call them a scam, we don’t believe their claims that joining will help you build a solid financial future. Product-wise, there’s not much this company doesn’t offer. They pretty much have something for everyone to sell. That being said, as far as passive income opportunities go, there are still better options out there. Either way, here’s the full review on Market America. Market America was founded in 1992 by JR and Loren Ridinger in Greensboro, NC. JR Ridinger was a former top Amway distributor, and Loren Ridinger is his wife. They got off to a rocky start. Market America didn’t start taking off for nearly a decade, perhaps due to charges from the SEC in 1999 regarding violations of federal securities laws. Like so many MLMs that go public and then run into problems with the SEC for sketchy behavior, Market America then decided to go private in 2001. By 2002, they were expanding internationally into Australia. Soon after they moved into Hong Kong, the Philippines, Mexico, and the UK. As of 2011, they had 650 full-time employees, and they had really started to pick up some buzz. By 2013, they were ranked 27th on the DSN’s Global 100. But you know as well as I do: a rich CEO does not a rich distributor make. How much does Market America cost? It costs $399 for an UnFranchise Business Owner Startup Kit, and that’s not including monthly fees. You also have to meet a monthly minimum of $200 in personal sales to qualify for commissions. The Market America store is bigger than a Wal-Mart…literally. I’m not going to sit here and list out everything they sell, because they’ve got over 3,000 proprietary products. Their products include…everything. Health tonics, household cleaners, makeup, weight-loss and nutritional supplements, fitness programs, gardening products…seriously, everything (see: Herbalife, Shaklee, or Melaleuca). In addition to having their own proprietary products, Ridinger made the decision to purchase Shop.com, a website that sells all kinds of well-known name brands at cheaper prices, in order to turn the company into the next Amazon.com. The most popular product is the one they got Scottie Pippen to rep back in 2010—Isotonix, a line of nutritional supplements. They go for $70 a bottle. You could find supplements with the same ingredients at your local drugstore for about $20 a bottle, but those don’t have an NBA star’s face on them. Commission in the Market America compensation plan is built around a binary system, and you have to build out the two sides of your downline evenly. Actually, JR Ridinger claims that Market America is the inventor of the binary compensation plan and that hundreds of MLMs have tried to copy them but simply can’t beat their compensation. There are a few ways to earn with this company. Distributors earn retail profit off their personal sales, and exact amounts vary by product item. There are two ways to earn this commission. Distributors can either carry inventory purchased at wholesale and sell it themselves at retail, or they can build up a network of preferred customers who continually order from them online each month on a monthly auto-ship program. Distributors can make up to 50% on retail profit. This is cashback that a distributor makes on both their own personal purchases as well as their customers’ purchases. Cashback only comes from eligible products on Shop.com, and they have to be Market America-branded products, but it’s possible to earn up to 35% cashback on your own purchases and .5% cashback on the purchases of every customer you refer. If a distributor has developed a team of representatives that is equally distributed between right and left legs, they qualify for team commissions. Team commissions are paid out weekly based on a distributor’s weaker leg. Distributors are capped at $3,600 in team commissions per week. The company has generated over $2 billion in commissions and retail profits since opening up shop in 1992. This company is booming, and I don’t think it’s going anywhere. Assuming they’ll beat the racketeering charges, which we don’t doubt. The Ridingers have the resources to take care of themselves. This power couple has certainly made a name for themselves. But despite all their claims of wanting to “help people achieve their dreams,” they don’t seem to be making a name, or a paycheck, for most of their distributors. According to their career manual, the average Market America distributor makes under $1,000…per year. That’s wayyy below poverty level income…in a third-world country.